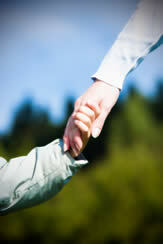 When the Children’s Aid Society is contacted with a concern about a child, the referral is handled by the Intake Unit. A Child Protection worker will collect the referral information and make a decision about what type of service would be beneficial to the family. This may include linking the family to other community resources, or seeing the family directly. The Intake Unit conducts investigations and assessments in accordance with the standards set out by the Ontario Child and Family Services Act and the Ontario Ministry of Children and Youth Services. A Differential Model of Services is used which includes customized interventions, which best suit, the child and family’s needs. The Agency also provides Emergency after hours services to handle referrals 24 hours per day. Following initial involvement with families in the Intake Unit, families are provided services by the Family Services Unit. The Family Services Unit provides both short term and long term work with children and families requiring child protection services. assisting families to access needed services. Collaboration with community services providers is an essential part of the work of the Family Services Unit.